Litchfield Hills Greenprint Collaborative - Saving the land that matters most. Saving the land that matters most. 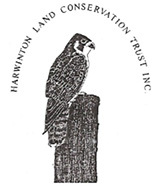 Northwest Connecticut’s Premiere Conservation Partnership. We’re proud partners in Follow the Forest, a new regional initiative protecting the woods and wildlife corridors of the Northeast.